To make things interesting, I decided to create graphics with different colors for each menu item, but you can use any graphic you feel would be appropriate. For example, if you have a menu item designated as ‘Home’, you can have a little home graphic next to your text for that menu item. 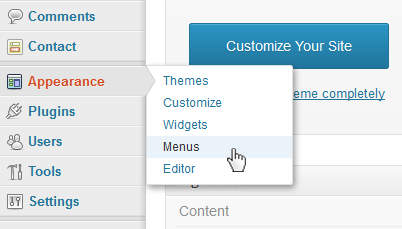 WordPress allows you to do that with the different attributes that can be assigned and used by each menu item. Justin Tadlock wrote an excellent article on developing menus for your WordPress website. 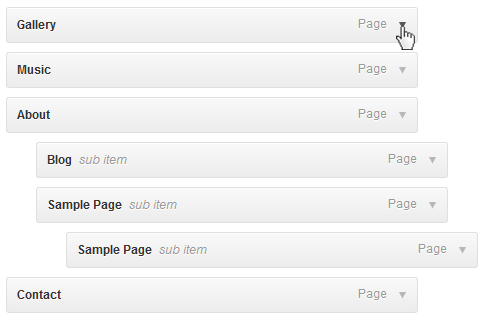 In the article he introduces you to many of the features associated with the wp_nav_menu function. In this article, I’m going to demonstrate how to use one of the attributes and how I used it to create the navigation for my site. We’ll be using the ‘CSS classes’ property and assigning a unique value for each of the menu items. 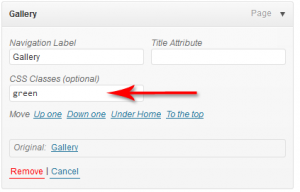 Since this article assumes some familiarity with the WordPress platform, I’ll be omitting menu setup and focus on the attribute that can make each menu item unique. this reveals the individual attributes for each menu item. Is your CSS Classes field visible? By default, you may not see the “CSS Classes” field. 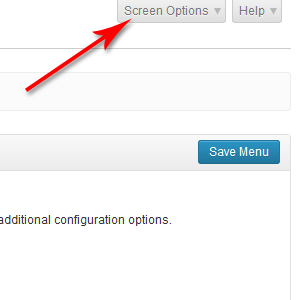 To make it visible, click on the “Screen Options” tab located at the top right corner just under the admin bar. 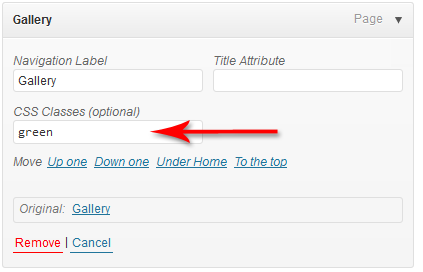 That will reveal the properties available for each menu item under the ‘Show advanced menu properties’ title. 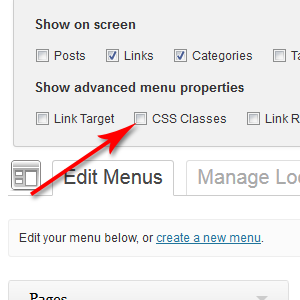 Click the ‘CSS Classes’ checkbox option to make it available. 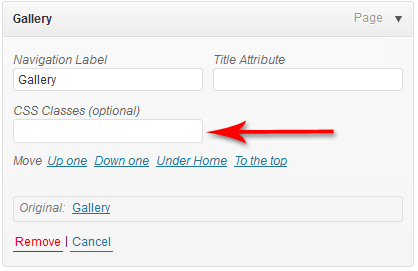 Now, by clicking on the right tab for each page on your menu, you can enter a name in the ‘CSS Classes’ field and your new unique class will be added to the list of classes that WordPress generates automatically. In this case, I used ‘green’ as the name for this class. This new class is now added to this menu item. You can choose a name that you prefer. 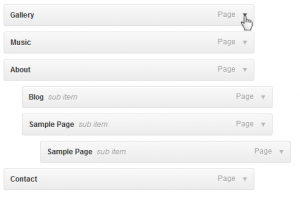 This is what the markup for the navigation on my website looks like now. This is the default styling that I used to create a unique menu item for my personal website. I decided to use a default image (blue led graphic) in case no unique class value has been added. The styling for a green led graphic would look like this. Now any menu item with a class value of ‘green’ will display the green led graphic. There are other various properties that can be used to enhance the final result but this is just a sample of what can be done using ‘CSS Classes’ to make each menu item independent from the others.